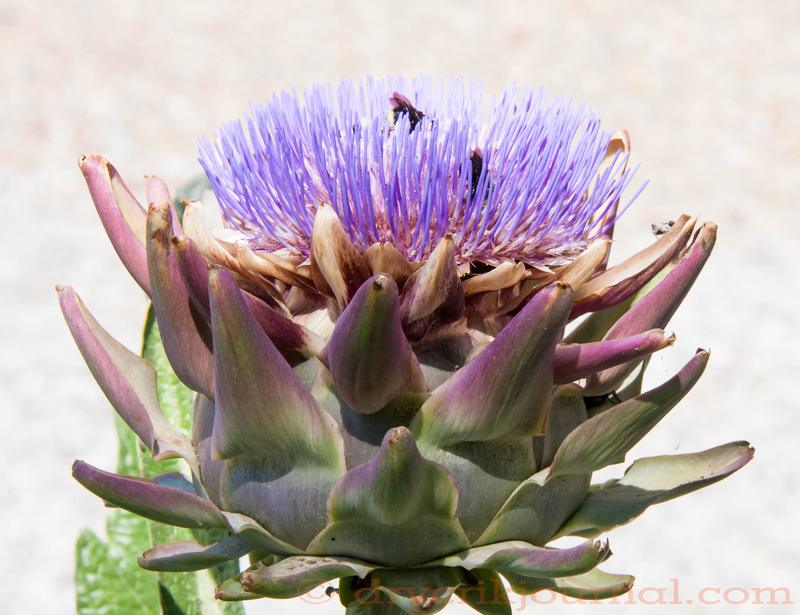 Oh, if all the thistles in the world were artichokes, what a wonderful world it would be! Right! Less of the other thistles would be nice. Such an incredibly beautiful blossom! I planted some last year but could not cut them but let them bolt just to see the magnificent color . . . Thanks for sharing the feast . . .
We’re too warm here to let the artichokes get very big, but the small ones are delicious at the beginning of the season. After that, we let them bolt like you do, just for the color. I love planting a seed and watching it come to fruition. They’re about all I have left to watch my bees on so I let them all bolt. Beyond that all we have left for the year for the pollinators is goat heads and spiny cocklebur, neither of which I plan to let live beyond it’s nectar flow.